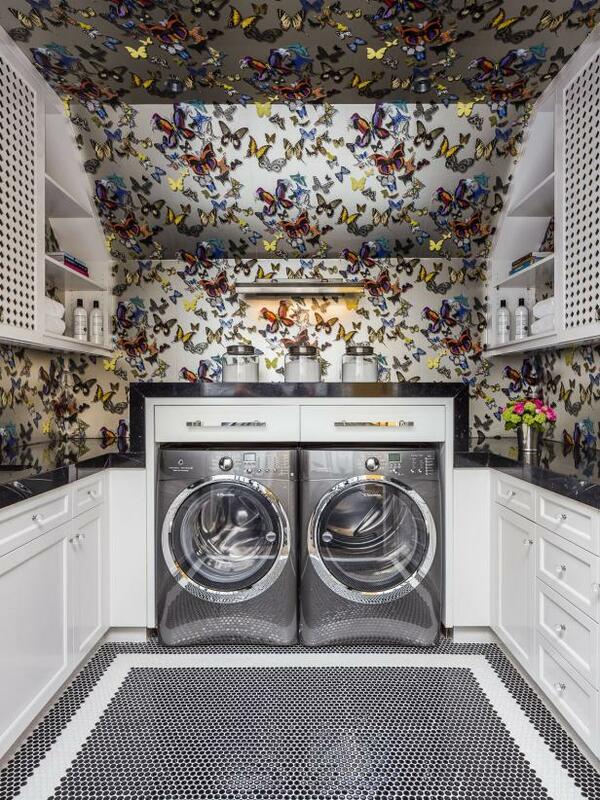 Subtle shadows on the Christian Lacroix wallpaper make the butterflies appear to float above the walls in the laundry room at the San Francisco Decorator Showcase 2015. The room is as functional as it is beautiful, with ample storage throughout, a sink in the corner and drying racks tucked above the washer and dryer. 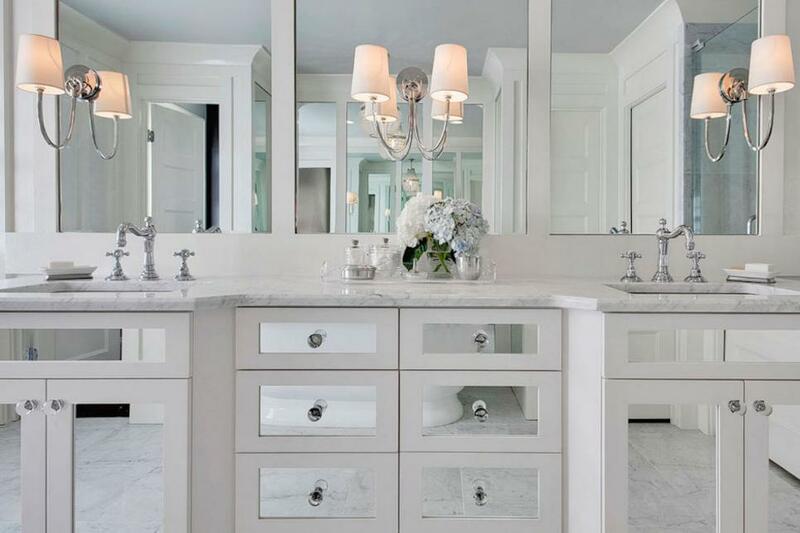 Mirrored fronts on the cabinets and drawers of this bathroom's vanity add a touch of Art Deco glam. 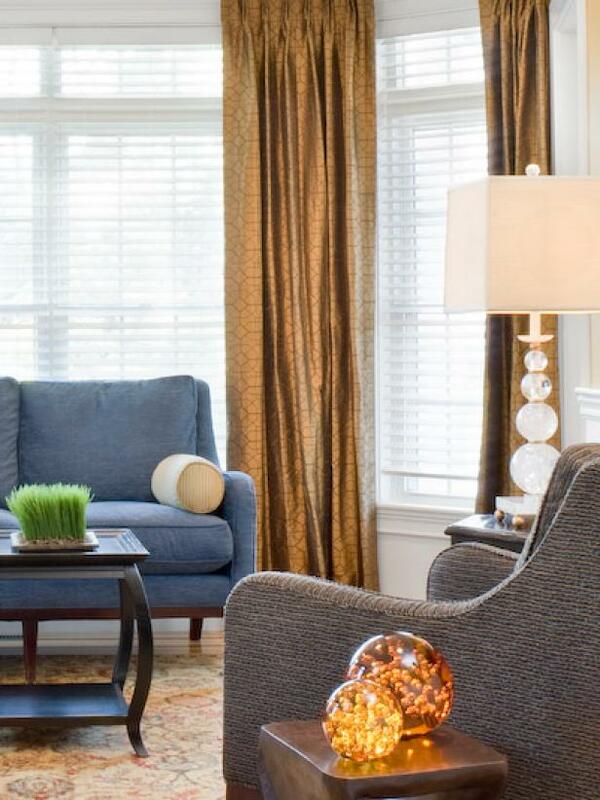 The rest of the space is kept classically elegant: white marble countertops, swooping sconces, a few hydrangea blooms. 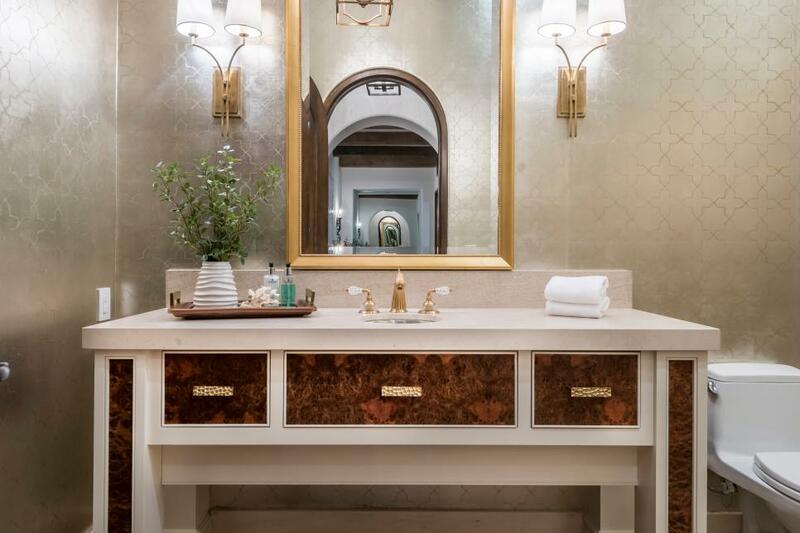 Gold-threaded wallpaper, a tall mirror and a sleek vanity with burl wood panels provide design distinction in this elegant, transitional guest bath. A modern chair adds function and a stylish hit of black. 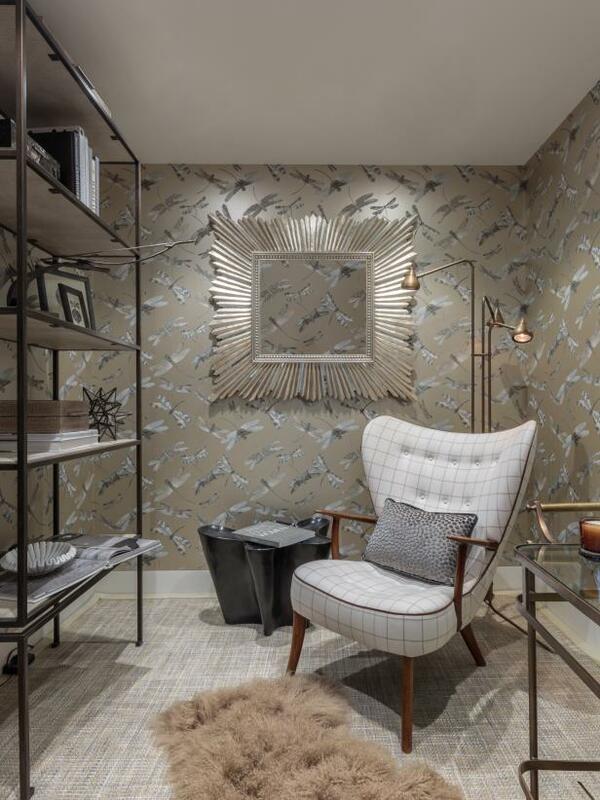 Every mom needs a quiet place to call her own, and Nanette Gordon created a Mom Cave at the 2016 San Francisco Decorator Showcase out of a walk-in closet. Located near the kids' room, mom can relax with a book surrounded by Osborne and Little dragonfly wallpaper while still being nearby her little ones. 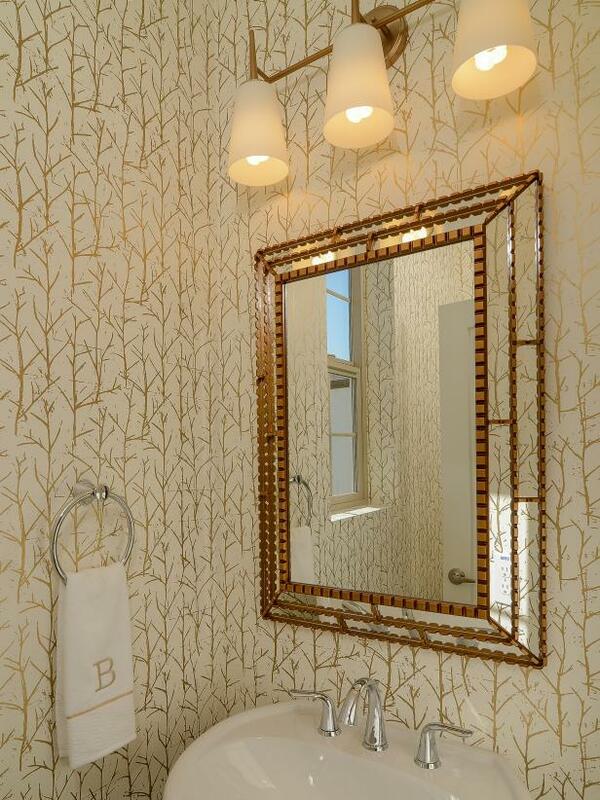 A gold tree branch pattern wallpaper gives a beautiful and dainty decorative look to this bathroom. 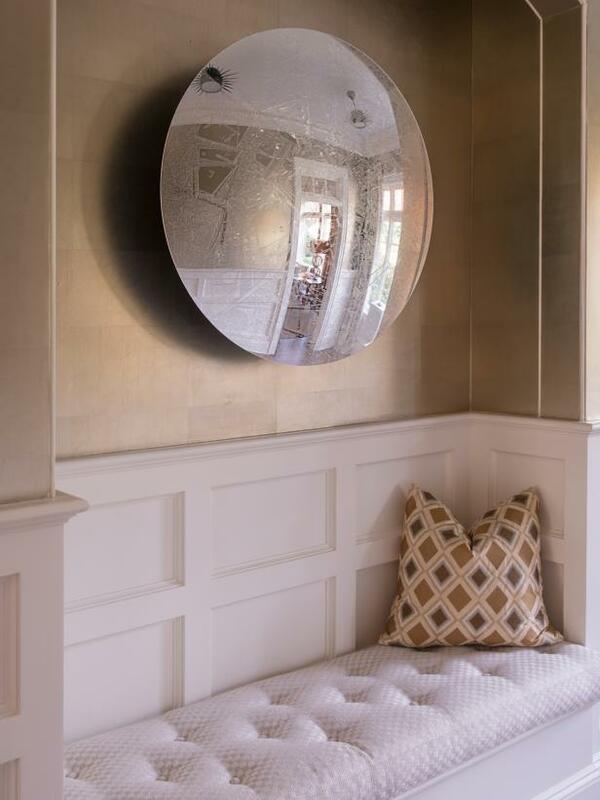 A triple frame around the mirror adds dimension and texture to the room. Three lights fixed to the sconce shine onto the white pedestal sink and stainless steel faucet. Removing all interior walls, designers transformed a dated living space with multiple small rooms into this open floor plan with a modern vision. The furnishings are metallic silver with touches of pink, fur and other textures. 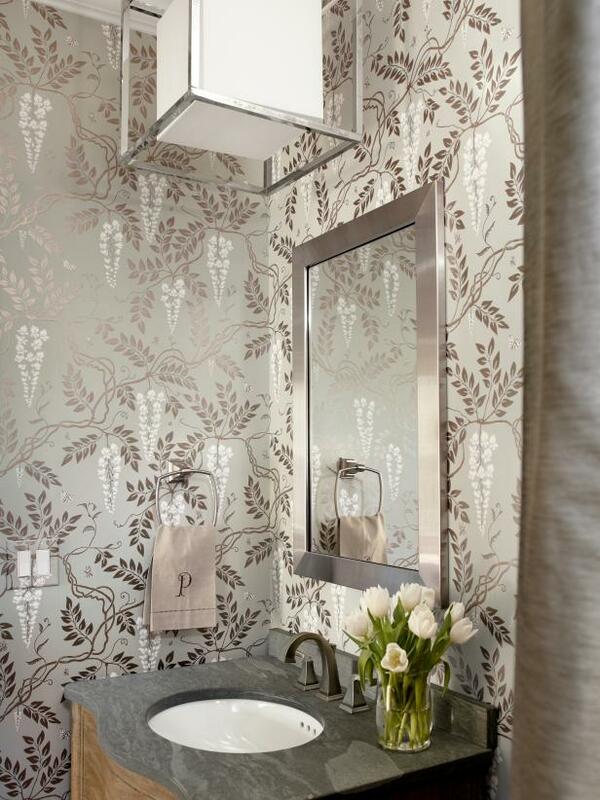 Elegant silver patterned wallpaper sets a snazzy, glamorous tone for this small powder room. 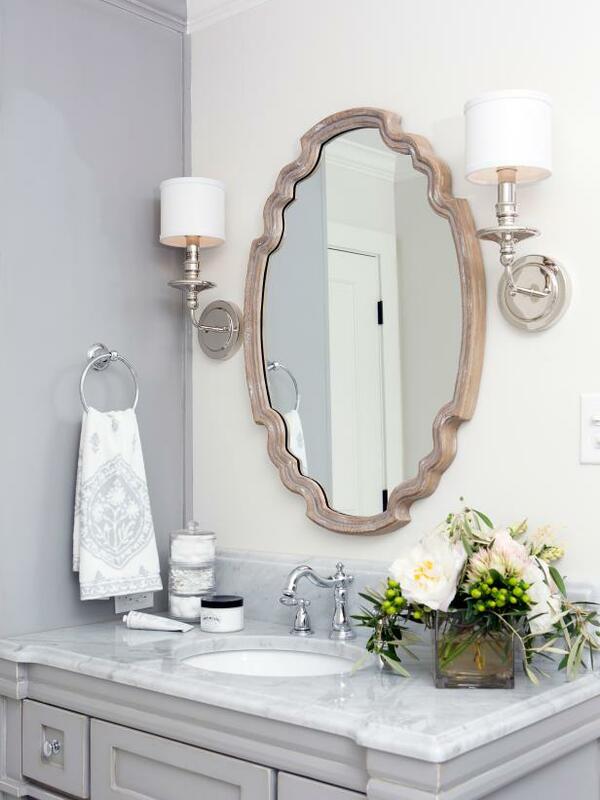 A contemporary light fixture packs a geometric punch, and a graceful vanity adds cottage-style charm. 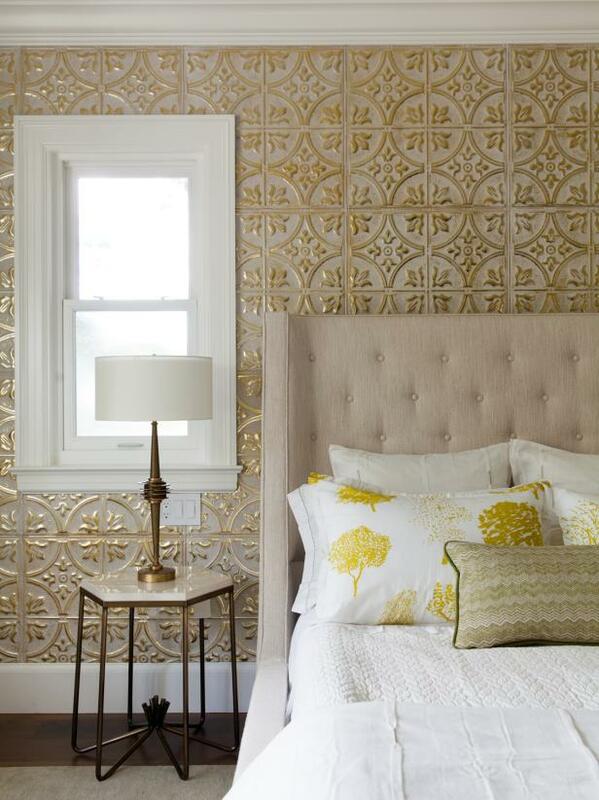 Dark wallpaper with subtle gray and metallic pattern creates drama in this space. 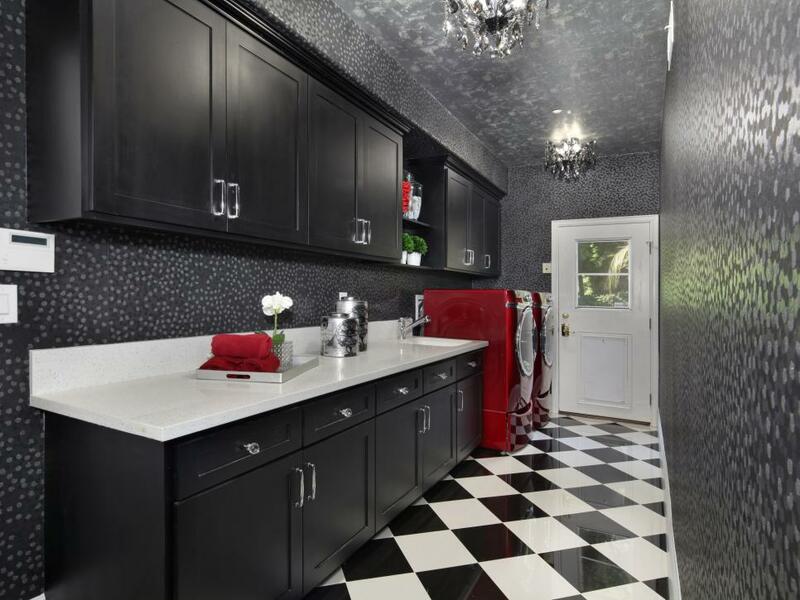 Dark cabinets with chrome fixtures mimic the wallpaper, while the red washer and dryer add a pop of color. 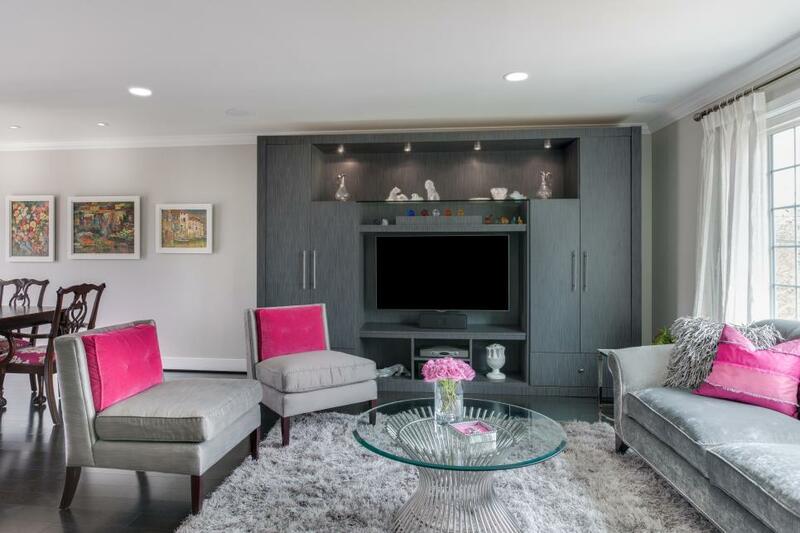 Furnishings in this living room are metallic silver with touches of pink, fur and other textures. A large entertainment center offers storage and a display area. 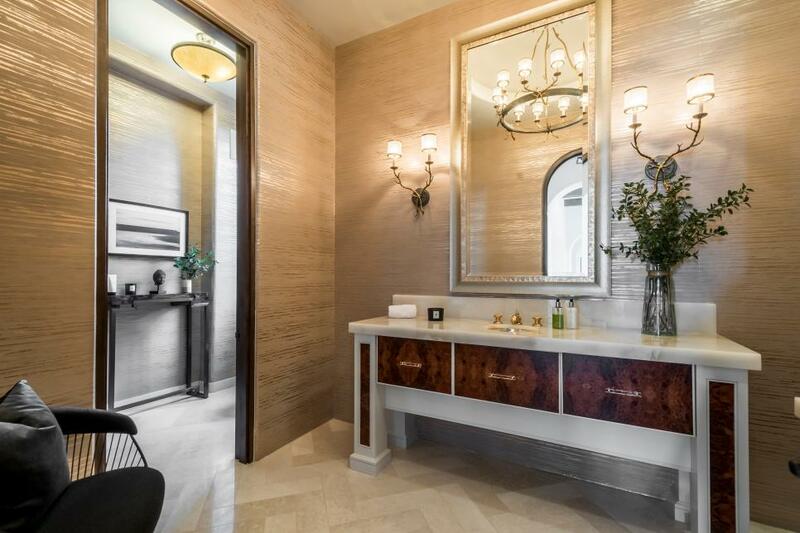 Luxe details abound in this transitional powder room, from the contemporary vanity with burl wood panels to the delicate sconces that flank the gold-framed mirror to the shimmering metallic wallpaper. 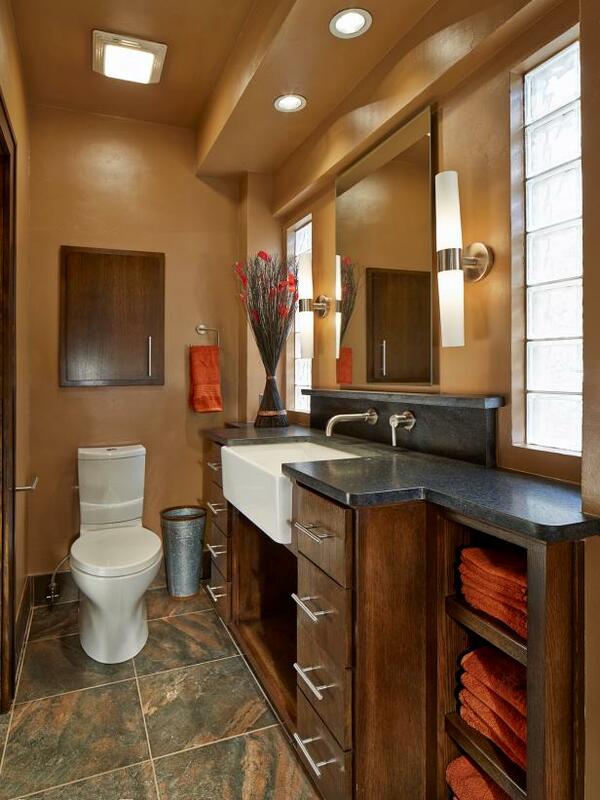 Bright touches of orange -- working together with golden walls and ceiling -- create a warm and balanced small bathroom. The walnut vanity is substantial and striking and features eight drawers for ample storage space, plus a white basin sink. Slate floors add subtle tones of cool, forest green to the room. 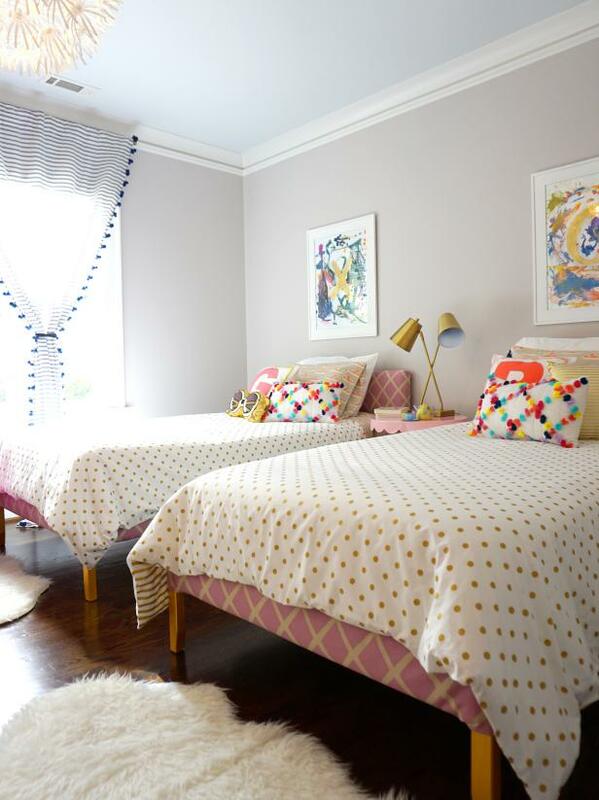 This fun girls' bedroom features two twin beds, each covered in pink and yellow patterned upholstery and dressed in gold polka dot bed linens. Colorful pillows, inkling a pom pom throw pillow, decorate the bed, while framed finger paintings hang above each bed. Faux fur rugs are positioned at the foot of each bed. This lively kids' bedroom features two twin beds dressed in white and gold polka dot comforters. Colorful pom pom throw pillows decorate the beds, while framed finger paintings hang above. Faux fur rugs at the foot of each bed add a cozy touch to the deep brown hardwood floors. The designer set out to create perceived scale in a small space -- the open niche below the vanity serves to expand the bath area's visual footprint. 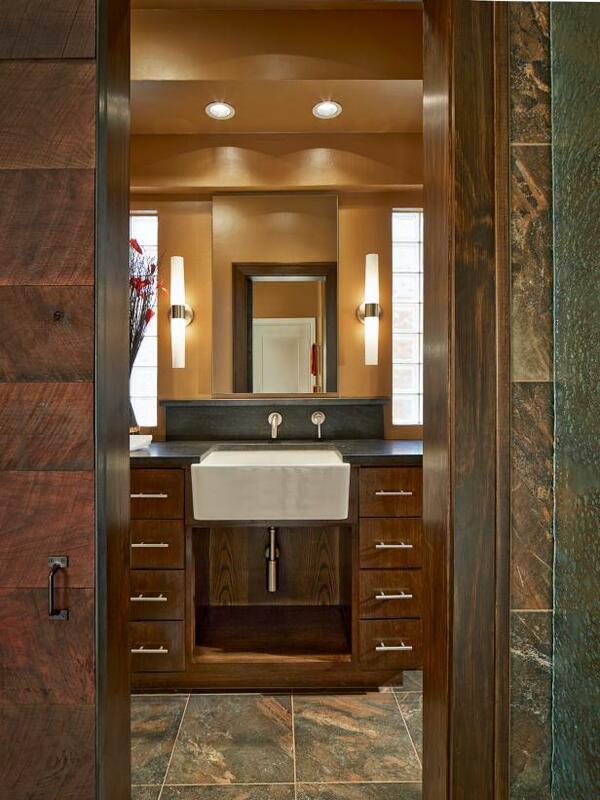 Using multiple materials in similar tones gives additional depth and richness to this little bathroom.